Following the Civil War increasing prosperity gave Americans more disposable income and more leisure time. The railroads made it easier for performers to travel. Nearly every city and town had a public meeting space with a stage for lectures and entertainments. These auditoriums were commonly called Opera Houses, even though they were not built for the opera and many never had an opera performed in them. The term opera house was considered more cultured than hall, but didn’t have the negative connotations of theater, which in those days was associated with drunkenness and loose morals. The opera houses were busy places with a variety of activities including plays, lectures, religious revivals, school meetings, dances, and musical performances. Vaudeville shows were especially popular. In Rochester in 1878 Captain Albert Hayes built a four story building which still stands on the corner of Congress and North Main Streets. The Hayes Opera House occupied the third and fourth floors. 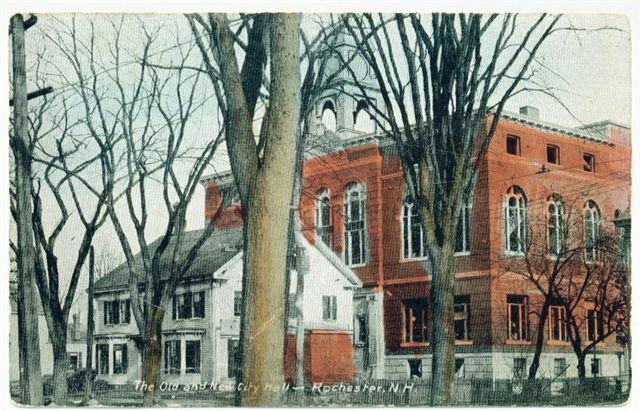 It was Rochester’s first public hall with a real stage, scenery, and a drop curtain with a border of advertisements from local merchants around a central picture. Some of the country’s foremost actors and musicians appeared here before it closed in the 1910s. In 1893 Rochester Mayor Orrin A. Hoyt recommended building a city hall large enough for all city offices, police and fire alarm stations, and a public library. He also said, “When I say a city hall I do not mean an opera house.” By this time many other cities and towns were including auditoriums in their municipal buildings. In 1902-03 a new fire station with an auditorium upstairs was built in East Rochester. The City Council authorized spending $300 to furnish this hall. In 1906 when money was appropriated for Rochester City Hall the plans did include an opera house. Designed by George Gilman Adams the auditorium featured a horseshoe shaped balcony, grand proscenium, Victorian detailing, beautiful stenciling and murals, and near perfect acoustics. Adams, who designed many government and civic buildings, also patented a unique movable floor design. The floor could be raised to slope for amphitheater seating or be lowered to be flat for dances. Furnishing city hall included furnishing the opera house. The seats, still in use today, cost $2463.87. Other large expenses included $1835 for scenery and asbestos curtain, and the purchase of two pianos. The city ran the opera house under the direction of the mayor. Its income and expenses were part of the city budget. In its opening year the expenses were $457.72 and its income was $980.16. In 1909 the expenses were $1295.07 and the income was $1605.74. In 1924 the expenses were $1217.07 and the receipts were $2547.28. In 1938 income dropped to $788.97, but still exceeded the expenses of $700.01. Other plays followed including “Uncle Tom’s Cabin” and “Peck’s Bad Boy”. For the next 30 years the opera house was a busy place with dramatic performances, concerts, minstrel shows, vaudeville acts, dances, lectures, and political rallies. As the popularity of movies increased the attendance at live stage productions declined. In 1923 radio provided a new use for the opera house as audiences could listen to concerts and lectures from around the country. The opera house was used by Rochester High School for graduations, assemblies, dances, and basketball games. Rochester resident Robert Dame remembers covering the windows and tightly wrapping the chandelier with chicken wire before each basketball game to protect them from breaking. In 1939 Spaulding High School opened with both an auditorium and a gymnasium. The high school no longer needed the facilities of the opera house. Use of the auditorium steeply declined. A proposal to dismantle it for additional office space was never carried out due to lack of money. During this time local groups continued to rent it for their programs. In 1948 area churches rented it for a two week evangelistic campaign. The local papers carried daily reports of Dr. Hyman Appelman’s Bible messages. Headlines proclaimed thousands attended and hundreds were converted. Further evangelistic campaigns were held in the 1950s. 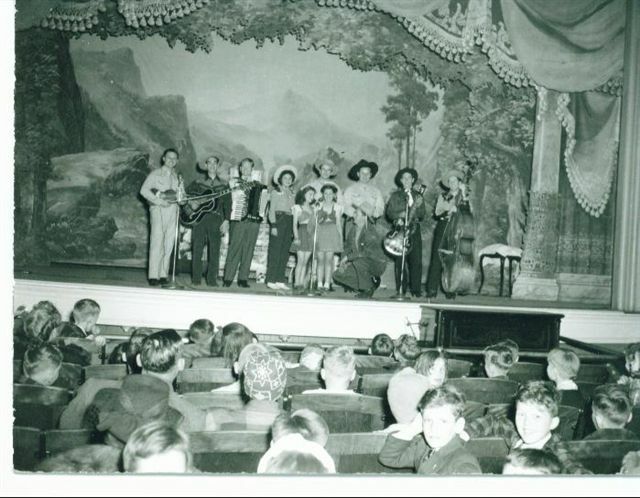 The auditorium was rented four to five times a year for popular country/western shows. Wrestling was held in it. The Elk Lodge’s annual Easter Monday Ball was the social event of the year for Elks and their guests. In 1962 the Rochester Music Theater began opening for ten weeks each summer. A different Broadway musical was presented each week. Appreciative audiences filled the hall for shows produced and directed by Bob LeBlanc with a professional New York Company of actors. Classics like Show Boat, Oklahoma, and South Pacific, and new musicals like The Fantasticks, Camelot, Fiddler on the Roof, and Man of LaMancha entertained young and old. Baroness Maria Von Trapp came to see her life portrayed on stage in The Sound of Music. Actor Gary Burghoff went on to fame as Radar O’Reilly on the hit television show MASH. By 1973 an economic downturn led to shrinking audiences and rising costs. The season closed with a $10,000 debt. During the next winter fundraising efforts cut the debt in half, but in May 1974 the Rochester Music Theater announced it would take a one year hiatus to catch up on their debt. Although they planned to reopen the following year, they never did. 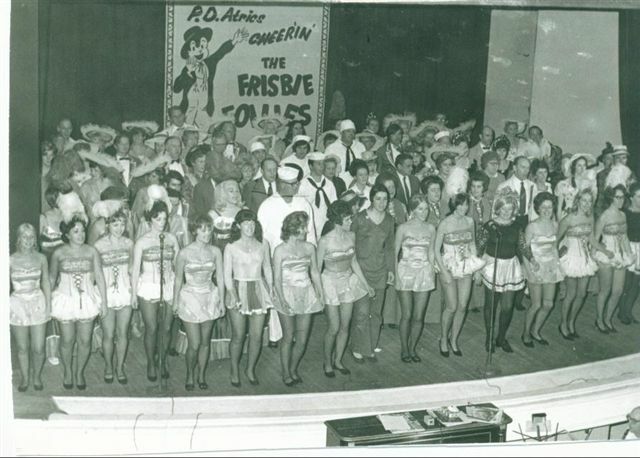 The 1974 Frisbie Follies was the last event of the era. 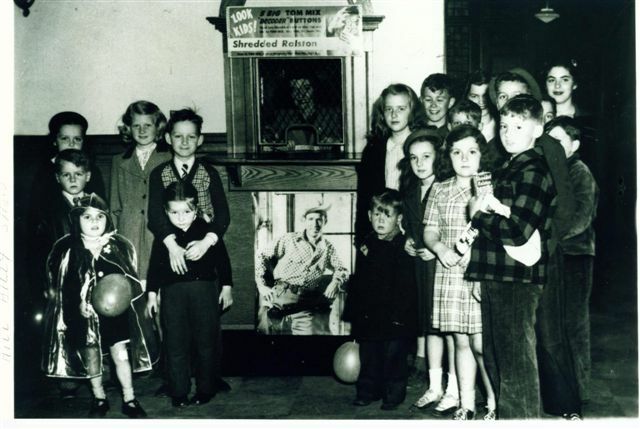 The Frisbie Hospital Aid Association had raised thousands of dollars for the hospital with their variety shows which played to capacity audiences. After their last performance on October 26, 1974 the auditorium was abandoned. By the mid 1980s pigeon and rodent droppings and large chunks of ceiling plaster littered the floor. Beginning in June 1984 attempts were made to restore the Opera House. They seemed to face insurmountable obstacles, but they laid a foundation for renewed efforts in 1996 under the leadership of Mayor Harvey Bernier. 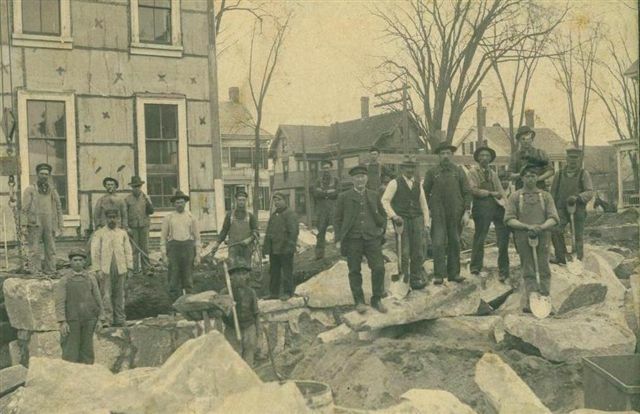 Through thousands of hours of volunteer work, money was raised and the opera house, including the one of a kind movable floor, was restored and placed on the National Register of Historic Places. By 1997 performances once again filled the hall. Visit the Rochester Opera House website to see what is happening today! Great story and good research!! I remember going to many matinee performances at the Rochester Music Theater, dragging my brother along and paying $2.00 for each show.